Click above to listen to episode 1 or download it here to listen on your mobile device. 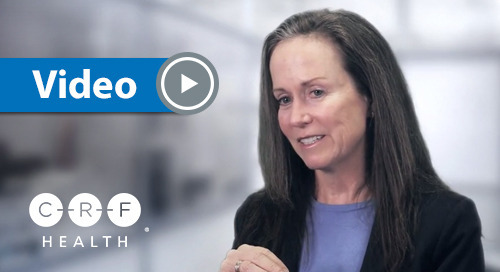 In episode 1 of our brand new eConsent University Podcast, Sandra "SAM" Sather and Jackie Brusch discuss how to reduce regulatory risks during informed consent. Is eConsent keeping up with the changing laws and regulations? Have a question you'd like us to answer on a future podcast? Email us at hello@crfhealth.com. To continue learning about eConsent, register for our upcoming webinar, "Monitoring Considerations with eConsent." Thank you for listening to the CRF Health eConsent University podcast. Welcome to the eConsent University podcast. You’ll learn something new about electronic informed consent during every episode. Here are your hosts, eConsent subject matter expert, Sam Sather, and Content Marketing Manager, Jackie Brusch. Hello everyone, good morning, good afternoon, or good evening. Thank you for joining us. We’re very excited to have you here today for our very first podcast. I’m Jackie Brusch, I’m a member of the Marketing Department here at CRF Health. And joining me today is Sam Sather. And I think we’re both excited to be on this journey together to bring you the latest news, information, and education on eConsent. 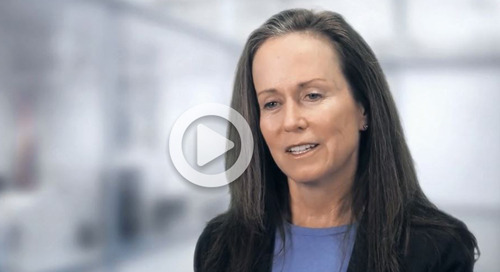 If you don’t already know Sam, she is an expert in the informed consent field when it comes to clinical trials. She has over 30 years of clinical experience. She has been a study coordinator and manager, sponsor and CRO monitor, quality assurance auditor, risk manager, trainer, and performance management consultant. Sam also is on the Academy Board of Trustees for ACRP, the Association for Clinical Research Professionals. She has a master’s in adult learning theory, and she has a wealth of experience integrating new technology in clinical trials. So welcome, Sam, thank you so much for joining me for this podcast. I’m really excited to do this with you today. Thanks, Jackie, me too. Thanks for having me. Yes, so today’s topic is reducing regulatory risks with eConsent. So let’s just jump right in. 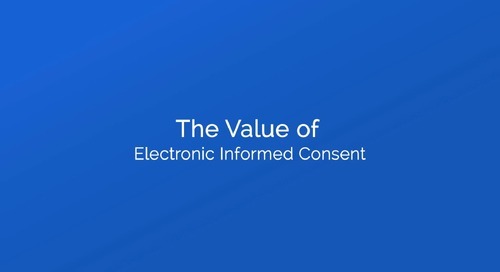 We have had a couple of people that have been asking us lots of questions about regulatory risk in regards to eConsent, so my first question that I wanted to ask you, that lots of people have been asking us is: In what ways do electronic informed consent solutions support regulatory acceptance? Great question. And the regulatory piece of eConsent involves all of the requirements for paper consent, and then add upon it the electronic systems. So what has been put in place globally prior to the popularity becoming more so for eConsent is more guidance and regulation related to validation of computerized systems, and also related to electronic source documentation. And specifically within the United States, we’ve seen quite recently actually the FDA finalizing a guidance document on the validation of computerized systems and electronic signature. So there is support to put the framework in place to support innovation with a lot of electronic systems, not just eConsent. Related also, eCOA, we’ve really had a lot of success with electronic data capture. But also think of other patient-facing services that better support our patients. So patient centricity has become very very centric to a lot of the movements within the world, the global regulatory health authorities. The EMA has a lot of movement to support in clinical trials and also in the manufacturing side of things, how to better support people to understand the benefits of different types of treatments and also studies. And we know that most of the expense happens when people don’t understand things, so if we can keep people healthier and give them better treatments. So patient centricity really starts with consent. So all over the world, we have regulatory authorities promoting multiple different tracks of better supporting participants and studies and also patients. And one of those ways is really starting the whole process with consent. In 2016, just the end of last year, the FDA put out their guidance document with the office of human research protection. So it was dual sponsored by the government-funded side of research and also the industry side, FDA. And then, gosh, we’ve just had a lot of other movement and networking with health authorities around the world. We know that there’s 29 countries basically that have had submissions to do eConsent, and we know that more than 12 of those countries have actually had trials with eConsent. So we’ve got some progress going on. Wow, that’s really interesting to hear. And it sounds like the adoption just continues to grow and grow, and the interest continues to grow. So you did mention there some documents and some regulatory agencies that are supporting eConsent, but can you give me a little bit more information about what some of the newest regulatory documents are out there, that are available to clinical trial professionals? And what do they offer, what does the guidance offer to those professionals looking to implement eConsent? Oh, great question. So, it’s really interesting when you’re out there trying to decide whether eConsent is something you can put together. We know that it impacts many different processes within an organization. So for sites, sponsors, ethics committees, and the participant. So the guidance out there tends to address all of the stakeholders. So for example, one of the documents I mentioned from the FDA and the OHRP is a Frequently Asked Questions organized document. So there is, I think, about 15 questions that they ask and then give answers to about eConsent. So for example, the questions that we get during our webinars, these are these frequent questions that these agencies get, from all the way to “how is this different to set up a patient,” “how is our documentation different,” “what regulations apply.” Because there is differences between the FDA regulations and the government-funded studies. And then if you’re doing a global study, you know, using this guidance, but then also looking to see what’s happening outside of the US. So one thing that is also helpful is the TransCelerate Biopharma eConsent assets that were just released. And TransCelerate is a non-profit organization that is members of large pharmaceutical companies. And one of their initiatives and workflows is one on eConsent. And it is an initiative they just in October of this year put out a list of assets that can really help us globally. And the goal is to globally implement this for sure. So some of the assets, for example, are to help sites. There is a lot of site tools. 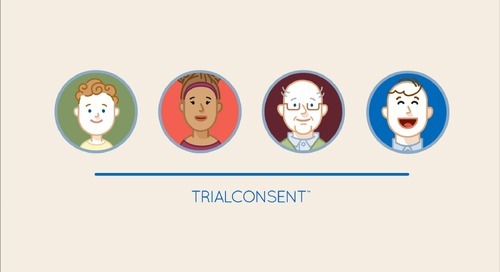 Some of the assets are guidelines on how to really prepare to even start thinking about implementing eConsent in general, and then how to do it for a particular trial, and what would be a good place to start. The ethics committees, really to me, the adoption and adaption from them are the pivotal thing, it’s key. So also, getting some support from them. And we do see with this same kind of helpful tool from TransCelerate, there is some help with working with ethics committees and what would they expect to be part of their submission packets for approving and reviewing consent. 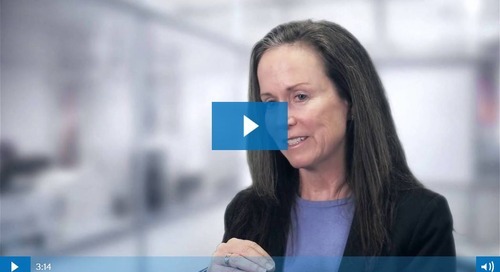 One last thing is—and there’s lots more—but another big pivotal group that has free great information is the CTTI group, the Clinical Trial Transformation Initiative, CTTI. And it’s a group that is a conglomerate of a collaboration between multiple different kinds of stakeholders, so the sponsors, CROs, vendors, ethics committees, sites. Patient advocacy groups are really big as well. And there’s a whole movement within this organization and initiative to increase the efficiencies and effectiveness of consent. So in parallel, they talk about eConsent but there’s all these other things that also need to happen to improve consent, like the length of the consent form. Definitely in eConsent, having the ability to present a video and some graphics and multimedia, so people learn differently and supporting how they can absorb information is key. But then, allowing the industry to get comfortable with more consolidated information is also something that’s being worked on worldwide, and CTTI really started driving that first. That’s lots of great information, and I think it’s just like you said, there’s lots of great resources out there, and I think more and more those resources are getting to be really helpful for lots of people. So it sounds like some of those documents probably have some of this information that I’m going to ask you about in this next question. But perhaps you can shine a little bit more light on it. That question is: How is eConsent risk-averse, and how does it help reduce risks that we commonly see in paper versions of informed consent? Definitely. This is something that the FDA and OHRP, and also some of the other documents I mentioned, talk about, which is really really really exciting to see, that a regulatory authority says that eConsent can better support someone’s understanding of the information being presented. It has the potential to decrease the risk of the participant not having consent prior to study procedures being started. And we can also decrease the risk of consent not being obtained. So when we look at how we use an electronic system and the things that that system collects and requires, it can be set up so the consent has to be obtained prior to triggering, say, supplying a participant with a lab kit, or something that triggers the protocol to start after consent. So we can really look at timing and the data that we get out of the consent form can be extremely valuable to make sure that we deter any type of activity at the research site that isn’t per protocol. And lack of documentation, we would never know that. So obtaining consent prior to these study procedures is just huge. And we could decrease this regulatory finding and/or incident, which really affects protection of human subjects a lot. There’s a lot more as well. If we think about the major risk of consent—a couple I’ve mentioned—is not getting consent, or getting consent after a study procedure. But other things that are risky is the participant not understanding, and then they come onto a trial and they decide they don’t want to participate because they didn’t understand what was expected of them, or they don’t comply with the protocol. So these are very impacting to data and to the expense of our studies as well. We typically will have to recruit more participants. So it’s a trickle-down impact. When consent isn’t done well, it impacts the data, it impacts the timelines, it impacts the costs, it impacts compliance to the protocol. And we really want good documentation. So the other thing that I’m so excited that eConsent can do, and we haven’t even had time yet in the industry to see this data yet, because it’s so new, is what we’re going to learn about the consenting process and what doesn’t work well. We just never in paper could document the interaction with a participant. And with eConsent, with a good system, you’ll have this journaling of the session, this audit trail of how long they spent looking at it, a consent form, in different sections, what sections did they have the most confusion, and questions about it. And we can actually do some comprehension testing with the participant. You know, there’s so much. When we get this metadata out of here it’s just going to be crazy, it’s going to be wonderful. And I hope we’ll use it, and I know we will. We’ll use it to redesign our consents and maybe argue, and win, that these consents don’t need to be so long, and that they need to be focusing on certain key core things. So I think it’s really going to change the dynamics, and especially for the patient, the most. That’s great. And I think we’re seeing that we’re understanding that more and more now. I think some of the things that you talked about just now were some of the things that happen once you have that eConsent moving and in place. But what are some of the key considerations for pre-implementation to meet regulatory requirements? And I think you and I probably both know that the TransCelerate guideline talks about this, with four stages of eConsent implementation. But perhaps you can talk about that a little bit more for people who maybe aren’t as familiar with that. So Jackie, great question. You know, the idea of what do we need to think about pre-implementation, so before we have a study that we have decided to eConsent. It does impact a little bit of everywhere within a stakeholder’s organization related to operations, especially in anything to do with site management and subject management. So if you this about it, in the sponsor-CRO world of monitoring and oversight and study startup, and then at the site level, same kind of stages, and then the IRB—my goodness, they’re like the overseers and responsible party for adequate consent, so if we think about these different stakeholders, each one of them needs to look at their clinical quality systems to see where this would impact and where they’d have to maybe add things or make changes. So for example, for any of those stakeholders, to look at their current standard operating procedures, what would need to be some updates. And then look at the tools that are linked to those, like reports and stuff, confirmation letters, portals. And then look at the systems that would be linked potentially, indirectly or directly, into using an eConsent, and to see if there’s anything that would be impacted by this. For example, IRBs have portals where they have sites usually go on and get their copies of their consents to use. So how would this change how they do their review process for example and approval, and their board meetings. And then, think about the training that would have to be done within an organization related to this new use of this new system. Not just at the study level, definitely it’ll impact your current training materials on consent even. And then documentation systems is another one. So how do we currently document our pre-study, during-the-study, and after-study activities. And if things are being generated from eConsent, where do we look for stuff that needs to be documented as a monitor versus what the site needs to document manually versus what the system documents. And what does the IRB again need to look at in the review process. So those are the key things. And I just basically was walking you through what’s in the quality system components. And, using this new kind of system, how would that impact how we do business day to day. So doing that impact analysis, GAP analysis, is really important before you get into the nitty gritty studies. And then start small. Great. So thank you so much, for answering that last question, Sam. So following that, what are some regulatory barriers in the implementation of eConsent? We know that globally, the acceptance of electronic signature is very variable, you know. It almost depends sometimes on who is the auditor or who is the interpreter of the regulation or guidance. So even in United States, where we have 21 CFR Part 11, where there is clear types of electronic ways to obtain a signature from formal electronic signature to digitalized signatures. But there is a wide range of how people interpret that, it’s amazing. And we’ve struggled with it as an industry for decades. So now bringing it into a space where we have a signature that means—not that they all don’t mean a lot, but man, this is the big signature. It’s a signature to get someone to start being on the study, going into screening. So it is pivotal. If we don’t have adequate sign-off, then we can’t use that data. And we’re not protecting the subject. So there is support from the FDA for sure, in their guidance document, about electronic signature, and they talk a lot about Part 11. But we know worldwide there is struggles with acceptance and agreement on what even is okay and what is electronic signature outside the US. And in the European Union, we know that there are certain countries that electronic signature would not be accepted at this point for eConsent. But that doesn’t mean that they’re not advocates of eConsent at all. In fact, we’ve had the opportunity to sit in on a meeting with the EMA, where they said they really like the idea of eConsent, because it’s patient centric, it very much improves the presentation to a participant, to a parent, to a child, etc. And they really think that that’s positive. And the documentation that can come out of it too is very very positive. It’s just that the technology and the security and the competence around e-signatures is one of their concerns. So it doesn’t mean we can’t use eConsent. In our platform we built in the ability that if the participant can go through the eConsent experience, then the system allows a copy of the same experience they’re going through to be printed, and then the site can present that to them and everybody signs on paper. So that is something that we knew we needed to put in place for certain countries, and even actually at sites, it might be even at a site level that’s something we need. So one of the barriers is e-signature. Another barrier that we have alternatives, just like e-signature, is identifying the participant. There is definitely times where we are seeing eConsent being held to a higher standard than paper for things that are not related to electronic systems. So it’s not because there’s an added electronic system requirement. You know, I think we just have less confidence, and some—there’s just this suspicion that someone’s going to be not who they are when they’re signing in or they’re coming into an electronic experience. So there is many ways that this can be addressed in systems, but they tend to, in many cases, be quite expensive, so added biometrics like thumbprints, handwriting analysis systems. So things like added a username and password maybe to an electronic signature might be one way that we could still—there’s still argument of the strength of that identity check. So it is a responsibility of the site to identify that the participant who they’re working with is who they’re supposed to be. So the site is still having to document that in notes and sometimes within the electronic consent system, like our system. It is important to be cautious, though, of course to make sure that we have that individual. So consenting in person will be much more what we’re going to see. So those are the two main things, and remote consenting is still a challenge for a few reasons, but more so those are the two main regulatory barriers, that we have hopefully going to work through with confidence in the industry. And also as we get more experience, I think the industry will learn more and more as well. Great. Yeah, there definitely seems to be some myths out there about some of the barriers, and some of them are true challenges that you do need to analyze and work through, but some of them are really just that, they’re just myths that exist because they may not be as familiar with the technology at this point. So that’s really good information to hear at this time, I think as people are learning and growing in their interest in eConsent. So thank you for that. So Sam, how can eConsent keep up with all of the changing laws and requirements for eConsent that we’re seeing around the world? Yeah, have you heard about the new Pennsylvania law, that for any consenting process they’re requiring a physician and, for clinical research, the principal investigator to be the one that obtains consent. No, tell us more about that. Actually I had a study coordinator today, we were talking on the phone about it. And so it’s bought up a lot of conversation. There’s been lots of discussion related to sometimes there’s very specific region- or state-driven types of requirements that are trying to protect the patient of course, the participant in a study, but can create burden for sure in paper and/or electronic consenting process. And having to have the sites remember who can consent can be quite difficult. So in the electronic consent realm, how we can actually better support regions that have certain requirements of who has to be the one obtaining consent and signing off. And this is true in Europe as well, it’s more common that a physician has to sign and obtain consent, is that we can design the eConsent to require a certain user with certain credentials to be the one that logs in and does their part as the site. So if the study coordinator logs in in these sites in Pennsylvania, it wouldn’t let them log in to obtain the one that’s going to sign on and do the Q&A session. So this is one stopgap or barrier that we can actually put within the system to help support some of these challenges. I explained this to the study coordinator, she was so excited because she’s—we’re just so used to, especially in the United States, for many studies, not all, that the study coordinator obtains consent. Now another interesting thing is paediatrics. So assent or a child being consented, or the parents signs to consent, and then the child signs assent. And common in certain states that both parents have to sign, unless they can show legal proof that only one is involved or has the jurisdiction to have healthcare responsibilities for a child. So many times in the paper world, there might be an instance where both parents are not signing. So in the electronic consent world, to be considered consented where the status changes in the system and then it’s messaged to everyone that we have this person consented, would not change until we can give it a criteria of both parents having to sign. So we can build in these criteria that can help us be more compliant for these type of process consent requirements. So it’s not so much the content that is required. That we can build within the system and you can reuse it and reuse it. But the flow of the consent, that’s the hard part. That’s been the hard part in paper, and you know, the site having to remember all the different things to document, and the system would do everything, it automates itself. So those are a couple of really fun ones, as the whole who has to sign and who—yeah actually, who has to sign. Very interesting. We’ll have to take that one offline and make that one of or next topics for these podcasts. All right, Sam, so last question of the day. 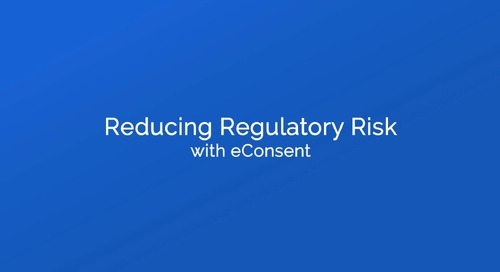 Can you talk to us a little bit about CRF Health’s own TrialConsent eConsent solution, and how that plays into this whole topic of today’s podcast of reducing regulatory risks in eConsent? Definitely. 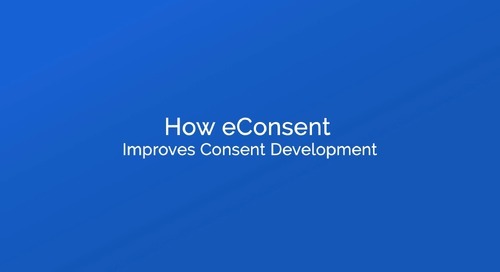 You know, the design right from the beginning really focused on all the stakeholders, that their requirements by the regulations, especially with the process of consent, because eConsent facilitates that a lot. And so for example, related to the design of the consent and making sure that what is released to the site is what the IRB approved. So we have strict versioning processes to make sure that the version that was reviewed is locked and really if it becomes unlocked it goes back into a draft form and is considered not IRB review status yet. So we really make sure that this audit trail shows that the consent that was approved by the board is the one that’s released to that site. We build in all sorts of things as well because of the variability between how people do the whole design and development and release. So in all that process, it also could be something that is set up to be the sponsor confirming that IRB approval. So who gets to do that release can be controlled even more than even the system does. And the system does again lots of checks and balances. But you could add more if it’s required by the IRB’s processes. Getting the IRB involved as early as possible we know helps the regulatory acceptance, and that’s what we promote to our clients for sure in the whole project setup and implementation. And then, related to the whole setup of the consent, making sure that we can support the different individuals that would have to be supporting the participant, the LAR, impartial witness, and again parents, I mentioned earlier, guardians. And it can be multiple documents, which is very very typical, for example a HIPAA authorization separate from the consent. So these would all have to be linked together to make sure we have adequate consent before they’re considered having a consented status. The other thing is, we highly support the amendments that can happen to consents. And the amendments would go through the same design type of work process flow and checks and balances and stopgaps. So not released until the IRB approval has occurred, whether it’s expedited or something that goes through full board. So the re-consent, so then make sure that within our system that we have the trial consent manager which is the oversight tool that the sites use and the sponsor uses to make sure they know that they’ve got now a status of pending re-consent to someone. So really facilitating that regulatory compliance and getting someone re-consented. And then the user rights and passwords, so user rights, very strict, user rights and roles, role-based system, eConsent based on 21 CFR Part 11, privacy requirements, that the site really is the one that can give permission temporary to someone who has gotten permission from the participant to monitor, so most commonly at site, so having access to the protected health information. So these are these key areas. And of course, the whole regulatory side of validation of computerized systems, and this is CRF Health has done this for 17 years now, related to its eCOA systems so we have tremendous amount of experience with these types of systems and globally. And working out challenges about doing and working with the systems in different countries based on global requirements and we really are good at working with the sponsors and these regulatory authorities to come up with a solution so everybody is compliant and we support the patient more. So yeah, those are the main things that, you know, security, privacy, process, requirements around the consent, and the variability of who can consent and who documents, and the design. These are again, our platform has three components that interact with one another to really support the spectrum of the regulatory requirements within eConsent, so our designer, our participant tool, and also our management tool. Great, well thank you so much for that overview, Sam. I think that you probably agree we could talk about this for much much more time. But I think that’s a really great place to kick this one off, and if anybody has any questions or wants to learn more information about eConsent or just dive into the topic of reducing regulatory risk more, we do have some other resources on our website that you can access, if you go to resources.crfhealth.com. Additionally you can reach out to us, let us know what you thought about this podcast, ask us questions, or give us some questions that you’d like us to answer for you on the next one. So you can reach out to us at hello@crfhealth.com. And Sam and I have already planned to have our next podcast episode be about the development of informed consent. So topics will include how development has improved with eConsent, things to consider when developing your eConsent, and much much more. So thanks so much again, Sam, for joining us today. I hope everybody has enjoyed this podcast, and we look forward to seeing you on the next one. Great thanks, Jackie, it’s always a pleasure. Talk to you soon.